KLS Brunei Report: Jordan, Brunei KADDB Design Bureau confirmed that it will export a number of AL-THALAB Remote patrol vehicles. Sources said that Brunei government as early as two or three months before the signing of the purchase agreement, but refused to disclose sources of procurement. With the news that, AL-THALAB 4X4 long-range patrol vehicle (LRPV) can be used for border patrol, reconnaissance, anti-terrorism purposes, but can also be used to perform operational tasks, such as weapons carrier platform, to provide the necessary fire support units. Sources said, AL-THALAB without supplies in the circumstances, the implementation of its mandate as long as 10 days or travel 1,500 kilometers. Relations with Muslim countries, Brunei and Jordan enjoy a very close relationship that whenever two of the grand event, Jordan's King and Wenlaisudan would attend. As this time BRIDEX 2009, Jordan's King Abdullah II, or even in person to attend the opening ceremony. 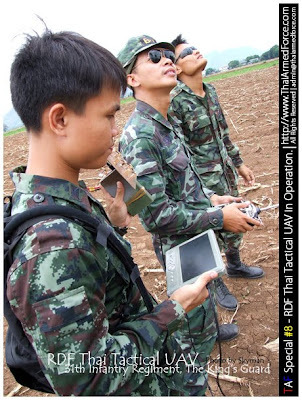 Pada tanggal 23 Agustus 2009 Angkatan Darat Thailand melakukan ujicoba terhadap 2 mini UAV taktis buatan lokal. Mini UAV ini mirip dengan Raven, dioperasikan dengan cara dilontarkan dan dapat mendarat di jalanan atau tanah yang lapang. UAV ini dilengkapi dengan kamera digital dan GPS yang dapat mengirimkan gambar secara real time. 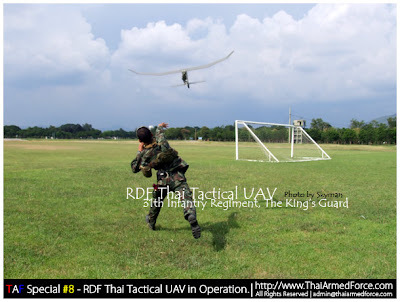 Kendali UAV dilakukan oleh 'pilot' dengan radio kontrol . Selama ujicoba jarak UAV maksimal berada 2 km di sekitar pilot. 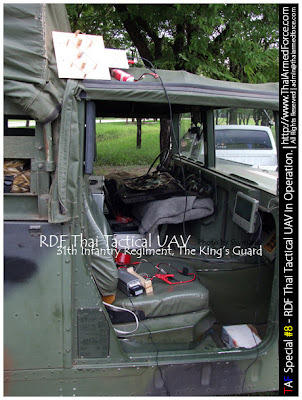 Ground Control Station dilakukan dari dalam mobil mini Humvee (Thailand bekerjasama dengan Mitsubishi membuatnya secara lokal), dimana tersedia antenna 360 derajat dan HUD (head up display). Mini UAV sangat berguna bagi Angkatan Darat untuk mengontrol stuasi di depan. Suasana selama ujicoba mini UAV dan foto yang dihasilkan (all photos : Skyman). MOSCOW - Russia wants to buy a French helicopter-carring warship, a top general said Aug. 26. Such a purchase would deviate from the Soviet-era principle of producing every piece of military equipment - from pistol cartridges to ballistic missiles - domestically. A Russian general says Moscow wants to buy a helicopter carrier like the French Mistral. (YANNICK LE BRIS) Col. Gen. Nikolai Makarov, the chief of the General Staff, told reporters in Ulan Bator, where he was traveling with President Dmitry Medvedev, that "not a single country can produce everything at the high-quality level." "Anyway, we will have to buy something [abroad]," Makarov said, Interfax news agency reported. 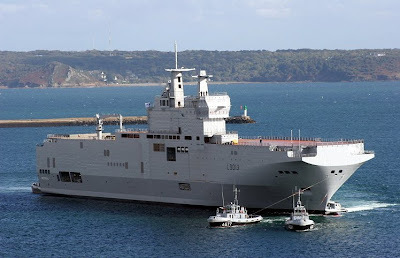 He said that the military would negotiate with the French Defense Ministry and a French shipbuilding company he didn't name, to buy a Mistral-class helicopter carrier that could carry 16 helicopters, 40 tanks or 900 troops. Russian shipyards would then produce three or four additional carriers with France's aid, Makarov said. "Before the year's end, we plan to obtain contract agreements with a French company allowing the construction and purchase of this ship," Makarov told reporters. "There are no ships of this class in Russia." France's Navy has two of the 21,300-ton carriers in service, and one more is under construction at the Chantiers de Saint-Nazaire dockyards. Speculation that the military was interested in buying the helicopter carrier, which costs about $1 billion, according to expert estimates, first surfaced in the local Vedomosti and Kommersant newspapers last month, but Russian officials denied the reports. Several Russian defense analysts have questioned the expediency of such a costly purchase in the name of national security. Any military conflicts likely to involve Russia would be with its neighbors, like the war last August with Georgia, which would require land troops and equipment rather than a sea vessel, they say. 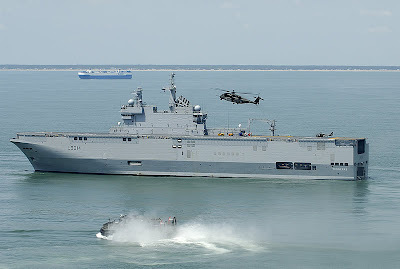 Manned by 160-strong crew, a Mistral carrier can also carry four assault landing boats, and is armed with two Simbad missile air defense units, two 30mm Breda-Mauser guns and four 12.7mm machine guns. Russia has already departed recently from its policy of being over-protective of domestic arms producers by buying 12 spy drones from Israel earlier this year for $53 million. The second of five A330 multirole tanker transport (MRTT) aircraft set for the Royal Australian Air Force has completed its mission equipment phase with successful 'power-on'. 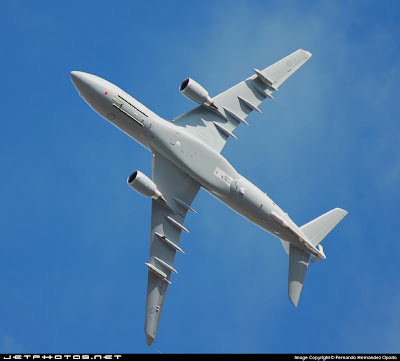 The A330 MRTT is based on the same general configuration as the KC-45 aircraft and features an advanced aerial refuelling boom system and a pair of 905E under-wing hose-and-drogue air refuelling pods. The aircraft underwent conversion to the A330 MRTT military configuration in Australia with the 'power-on' verifying successful operation of over 400 installed wiring harnesses that form a part of the tanker's military modifications. The successful outfitting will be followed by ground and flight tests of the aerial refuelling systems and military avionics. The MRTT will then fly to Spain for further enhancements before joining the certification and qualification flight program with the first tanker. Two of the multirole platforms will be delivered to Australia in 2010. The third aircraft is currently undergoing conversion. Cabinet Meeting (Crm.) 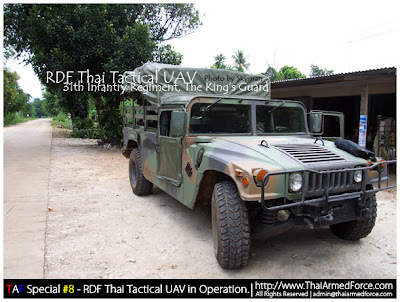 on 25 Aug 2009 Department of Defense proposed to cabinet approval Thai army headquarters to make cross-year project debt commitments provide helicopter transport to a general number 2 aircraft, the 3-year period from fiscal 2009 to fiscal year 2011 amount of U.S. $ 29,050,000 or approximately 997,577,000 baht. The following fiscal year 2009 expenditure plan of 200 million baht for fiscal year 2010 of Baht 200 million and fiscal year 2011 of 597,577,000 baht. Department of Defense (Kh.) reported that the program provides 2 aircraft such as helicopter operations program provides a general purpose transport helicopter. 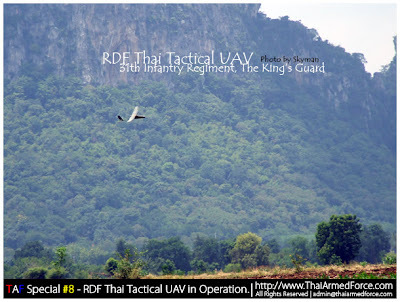 Mission of the Thai Army headquarters (Department of military maps) used in the acquisition and development plans. 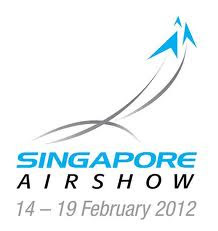 Airport support activities in exploration and stick together international territories. Civil aviation support mission operations in support of transmission maintenance. Turkandar to local officials. Royal support for the project. Help support the mission events, natural disasters, which are Thai Army headquarters procurement stage is not bound within the budget. Budget at cabinet on 27 November 2008 approved the Government and state enterprise debt commitments before the budget over the fiscal year. Item expense budget for the fiscal year 2009 the total amount of more than 1,000 million baht up to 16 items a total of 33,583.8 million baht, a statement by the 2009 years of 6,310.8 million baht by the Swiss Government and the State Administration for owners. We consider the issues presented. Crm. approval once the case is beyond the project, including providing helicopter transport to a general line of the Ministry of Defense with 1,050 million baht. The Department of Defense has taken steps in the procurement budget is not binding. 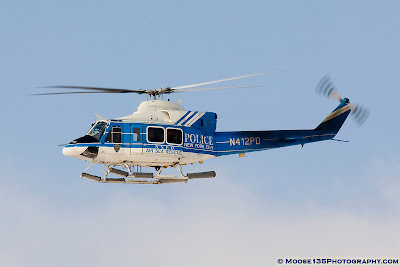 The selection of a helicopter of a BELL 412 EP BELL HELICOPTER TEXTRON USA features only as needed. The company has submitted proposals and conditions that benefit the public. Through providing a special way to negotiate the price and the price of 997,577,000 baht excluding customs duties and tax withholding VAT. But as transportation costs through. Location-based operations. Training and other costs. 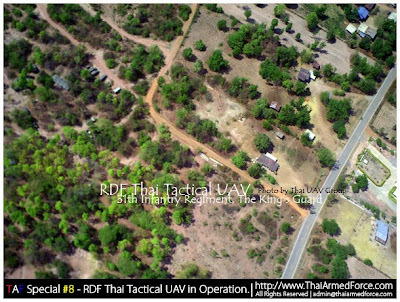 Thai Army headquarters has been allocated for the provision of the May budget. Act fiscal year 2009 the amount of Baht 200 million debt, but still can not make binding budget. Because it offers cabinet. Again by cabinet resolution. On 27 November 2008. 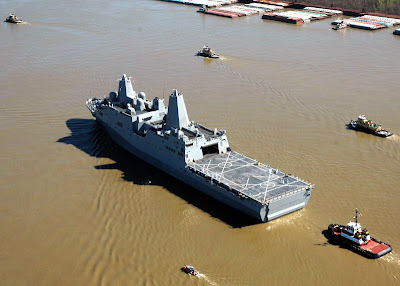 WASHINGTON (NNS) — The Navy officially accepted delivery of the future USS New York (LPD 21) from Northrop Grumman Shipbuilding (NGSB) during a ceremony Aug. 21 at the company’s Avondale shipyard in New Orleans. New York is the first of three LPD 17-class ships built in honor of the victims of the Sept. 11 terrorist attacks. The ship’s bow stem was constructed using 7.5 tons of steel salvaged from the World Trade Center. The Navy named the eighth and ninth ships of the class – Arlington and Somerset – in honor of the victims of the attacks on the Pentagon and United Flight 93 respectively. Arlington and Somerset are also incorporating materials salvaged from those sites. New York completed acceptance trials July 24, performing well for the Navy’s Board of Inspection and Survey (INSURV). During the detailed inspection, all shipboard systems and equipment, including combat, ship, machinery control and mission systems, were successfully demonstrated during a series of demanding inport and at-sea test events. This trial confirmed the continuing improved class trend in system design specifications and quality assurance programs. 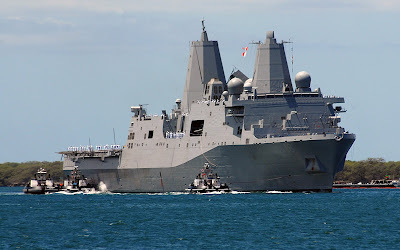 The principal mission of LPD 17-class amphibious transport dock ships is to transport and deploy the necessary combat and support elements of Marine expeditionary units and brigades. 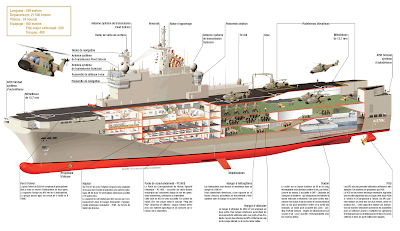 The ship will carry approximately 720 troops and have the capability of transporting and debarking air cushion (LCAC) or conventional landing craft and expeditionary fighting vehicles (EFV), augmented by helicopters or vertical take off and landing aircraft (MV 22). These ships will support amphibious assault, special operations and expeditionary warfare missions through the first half of the 21st century. New York is the fifth ship of the LPD 17-class and the fifth ship in the Navy to be named after the Empire State. Arrival in New York is scheduled for November. Early events will be focused on ship’s crew, their families, first responders and 9/11 families. Public viewing is scheduled in the days prior to and days following the commissioning, slated for Nov. 7. 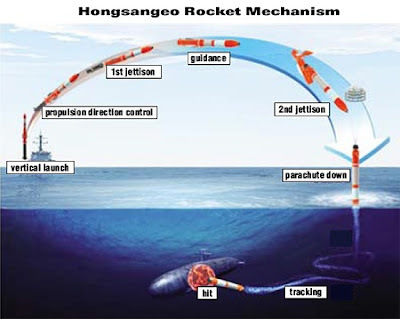 South Korea has begun production of 70 Hongsangeo anti-submarine light torpedoes (Red Sharks) for use on some of its newest destroyers. 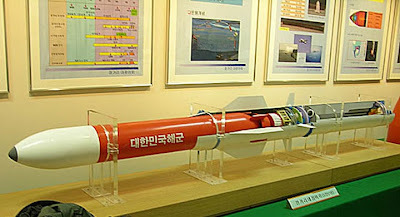 Scheduled for deployment between 2010 and 2012, the 18ft, two-stage Red Shark torpedoes are long-range ship-to-submarine light torpedoes that will be operated aboard the korean Navy's latest Gwangaeto the Great Class (KDX- I) and Chunmugong Yi Sunshin Class (KDX- II) destroyers. 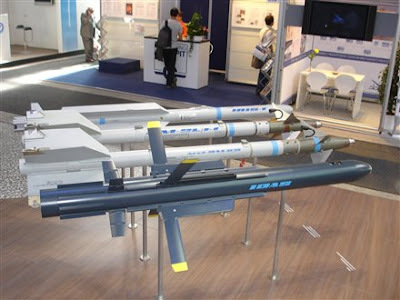 South Korea's Agency for Defence Development (ADD) said South Korean missile manufacturer LIG Nex1 co-developed the torpedo with the ADD at a cost of about $80m. 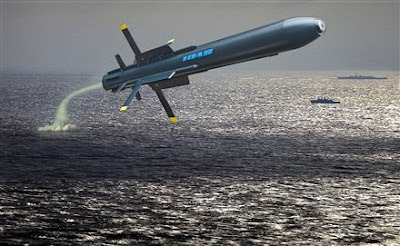 The precision-guided torpedoes are launched vertically and can fly for about 12 miles before submersing into the sea to track and destroy targets. The country is investing about $145m in the torpedoe manufacture and will increase production in 2013. In addition, the ADD and LIG Nex1 have cooperated to develop Shark series torpedoes which include Blue Shark (a light torpedo) and White Shark (a heavy torpedo). The Red Shark torpedoes underwent nine years of development and completed the final tests in early 2009. 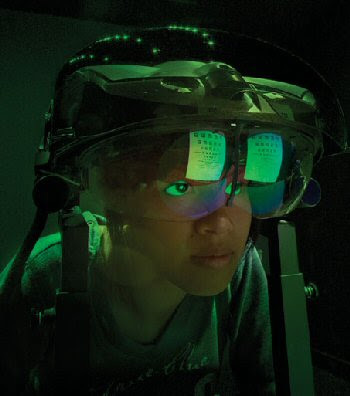 A new way of training pilots for the Australian Defence Force (ADF) was announced by the Minister for Defence, Senator John Faulkner. “The new Pilot Training System will enhance the ADF’s ability to train highly qualified and skilled pilots to operate its next generation of airborne capabilities,” he said. 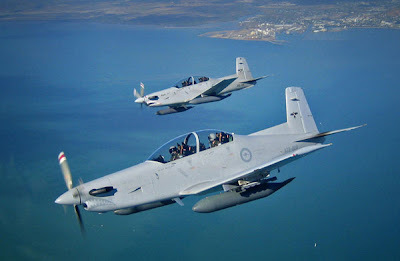 “Over the coming decade, the ADF plans to replace almost all of its airborne assets with the latest generation aircraft, which will require a greater number of pilots with more advanced skill-sets.” The package will produce pilots for the Navy, Army and Air Force. NEW DELHI - India on Aug. 24 unveiled a first batch of 10 tanks built locally under license from Russia and said it planned to manufacture 100 such units every year. 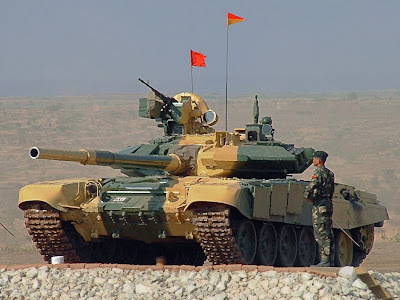 The Defence Research and Development Organisation (DRDO) said each of the Indian-built tanks would cost up to 150 million rupees ($3 million). "The tank has advanced protection system[s] to protect crew and equipment from chemical, biological and radioactive nuclear attack," a DRDO statement said after the rollout from a state-run facility in southern Chennai city. Junior Defence Minister Pallam Raju hailed the deliveries as an "important milestone," the Press Trust of India reported. "The overall objective is to ensure self-sufficiency in defense preparedness to the maximum possible extent," Raju added. Russia, which supplies 70 percent of India's military hardware, has also helped its long-time ally to locally build a nuclear-powered submarine, which was put on sea trials last month. 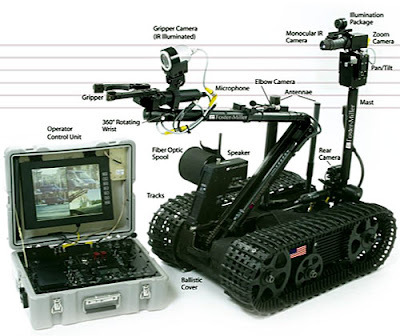 Developed by QinetiQ North America in Waltham, Massachusetts, TALON robots can be configured for specific tasks including the disposal of Improvised Explosive Devices (IEDs), reconnaissance, the identification of hazardous material, combat engineering support and assistance to police units engaged in SWAT (Special Weapons and Tactics) operations. 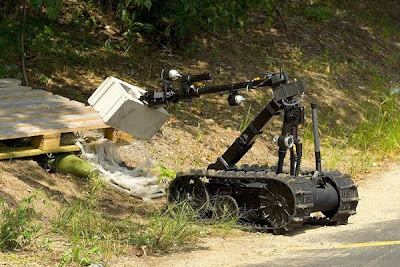 2,800 TALON robots are deployed around the world - more than any other military robot. "The TALON robot is an excellent example of the world-leading technology that QinetiQ is able to deliver to our clients within Australia and the region," said Mike Kalms, CEO of QinetiQ Australia. "We continue to work closely with our UK and US colleagues to ensure QinetiQ is able to offer an increasing portfolio of leading technology and service solutions to our Australian defence customers." QinetiQ also provides a repair and maintenance facility for TALON robots in Australia and the region through its partner company, Pacific Security and Environmental Solutions. Jakarta (ANTARA news) - Kepala Staf Angkatan Laut (Kasal) Laksamana TNI Tedjo Edhy Purdijatno mengungkapkan, kapal selam KRI Nanggala 402 akan menjalani pemeliharaan berat (overhaul) di Daewoo Shipbuilding and Marine Engineering Co Ltd (DSME), Korea Selatan. "Pelaksanannya akan berjalan mulai bulan depan, selama 22 bulan," katanya, dalam obrolan santai di kediaman dinasnya di Jakarta, Minggu. Ia mengatakan, dengan overhaul, maka kemampuan kapal selam tersebut dapat diperbaharui hingga pada kondisi awal dimana rata-rata kesiapan mencapai 100 persen. "Yang penting dari program overhaul itu, selain murah, juga dapat mengembalikan kekuatan kapal selam bersangkutan hingga dapat difungsikan secara maksimal sebagai alat utama sistem senjata (alutsista) strategis TNI, " kata Tedjo. Pada kesempatan itu, Kasal menegaskan, TNI Angkatan Laut ingin memiliki kapal selam yang memiliki kemampuan tempur dan daya tangkal sejajar dengan negara lain, seperti Malaysia dan Singapura. "Bahkan kapal selam kita yang baru, kalau bisa melebihi kemampuan tempur dan daya tangkal yang dimiliki negara lain. Misalnya, Malaysia, kini memiliki kapal selam pertama jenis Scorpene yang diluncurkan di Prancis, beberapa waktu lalu. Ya.. kita harus punya yang lebih dari Scorpene. Kalau tidak lebih baik, tidak usah beli," tuturnya. Kasal menegaskan, keberadaan kapal selam tidak semata sebagai alat utama sistem senjata strategis, melainkan sebagai alat yang dapat memberikan efek tangkal yang mendukung posisi tawar Indonesia. BULAN Depan, Tentara Nasional Indonesia (TNI) Angkatan Laut akan mengirimkan kapal selam, KRI Nanggala-402 ke Ockpo, Korea Selatan. Nanggala akan menjalani perbaikan menyeluruh (overhaul) di Daewoo Shipbuilding and Marine Engineering. "Prosesnya memakan waktu 22 bulan," kata Kepala Staf TNI AL Laksamana Tedjo Edhy Purdijatno di kediaman dinasnya di Jakarta, Minggu (23/8). Perbaikan akan meliputi bangunan kapal, peralatan navigasi, peralatan komunikasi, sistem kendali senjata, diesel generator, serta penggantian sejumlah komponen radar dan sonar dengan peralatan baru. Tedjo mengatakan, perbaikan akan mengembalikan kemampuan kapal selam tipe 209 buatan Jerman tahun 1980 itu. "Syukur-syukur kekuatannya bisa sama dengan kapal keluaran terbaru," katanya. 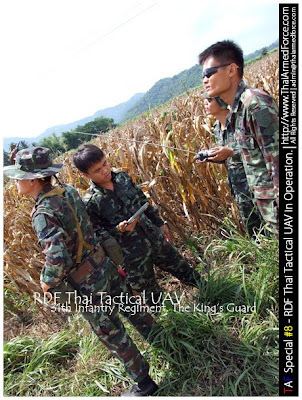 Brunei KLS Report: Brunei National Defense White Paper in 2007 revealed that the Royal Brunei Air Force helicopters on the future size of the building and plans to replace No. 1 squadron of Bell 212 and Bell 214ST helicopters. In accordance with the National Defense White Paper that the future of Brunei Air Force helicopters can be a civilian procurement specifications and install the helicopter mission-related packages, which use more than the whole army helicopter procurement, but also to achieve budgetary savings. Earlier reports said that the Brunei plans to US-made S-70 helicopter to replace Bell 212 and Bell 214ST helicopters. 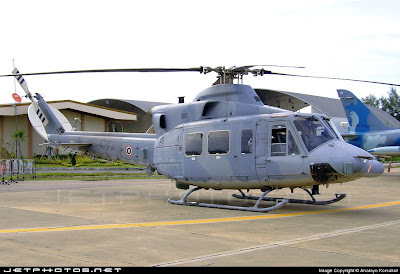 At present, the Bell 212 and Bell 214ST helicopters to assume mission includes search and rescue, personnel transport, injuries medicine transport, VIP transport and firepower. In BRIDEX 2009, the United States to Brunei Bell 412EP helicopters to carry out marketing and BRIDEX also performed during the flight. 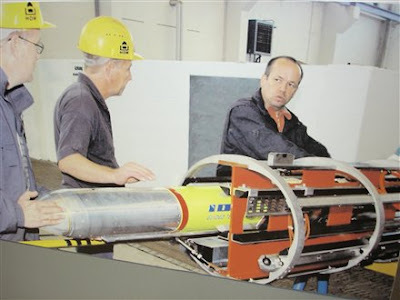 In June 2009, delegates at the Undersea Defence Technology [UDT] Europe conference in Cannes learned that the German Navy had allocated funding to take the IDAS (Interactive Defence and Attack System for Submarines) submerged-launched precision weapon into production. Developed by the ARGE IDAS consortium - comprising ThyssenKrupp Marine Systems' Howaldtswerke-Deutsche Werft (HDW) division, Diehl BGT Defence and Kongsberg Defence & Aerospace (KDA) - IDAS is intended to provide a precision attack capability against surface and onshore targets and a 'last ditch' self-defence capability against anti-submarine warfare (ASW) helicopters. Supported by Germany's Federal Office for Defence Technology and Procurement (BWB), the navy is planning to retrofit IDAS into its Type 212A submarines. Four of the HDW-built boats were commissioned between 2005 and 2007, and two more are expected to enter service in 2013. Diehl BGT Defence's product manager, Klaus-Eberhard Moeller, told the UDT audience: "In 2011 we will conclude [IDAS] proposal and contracting activities with the BWB, with a four-year full development programme beginning in 2012. Production will start in 2016." The ASW helicopter is probably the submariner's deadliest foe. 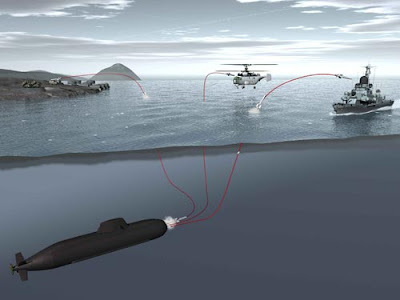 Operating from a land base or surface ship, an aircraft can reach a target area rapidly, conduct a persistent search for submarines using its active dipping sonar, and prosecute a torpedo attack with no fear of retaliation from the submerged boat. The possibility of developing a submarine-launched missile to counter this threat has been under discussion internationally since the 1980s. An Interactive Defence and Attack system for Submarines (IDAS) missile has been successfully launched from the German Navy's Type 212A submarine U 33. 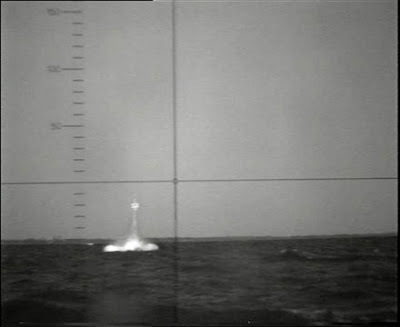 The submarine firing follows underwater test launches from facilities on the Baltic and North Sea run by the WTD 71 Technical Centre for Ships and Naval Weapons in the second half of 2006. 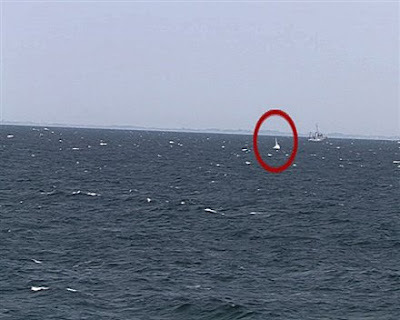 The test firing took place in the Baltic on 29 May 2008 and provided evidence that the underwater launch sequence, so far tested only from shallow basins, can be replicated from a submerged submarine. However, another important objective was validating the performance of the fibre-optic datalink. The link provides a bi-directional data stream and allows the operator to view the seeker image from an existing multifunction console in the submarine's combat information centre and observe the mission or record it for verification and analysis purposes. 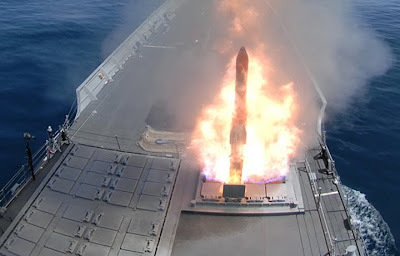 However, the system also provides the operator with the ability to manually override the controls and steer the missile onto the target, or abort the mission. Speaking to Jane's, representatives at Howaldtswerke-Deutsche Werft (HDW) and Diehl Defence BGT confirmed that the link worked as expected, although images taken from the missile's seeker head were not yet available at the time of going to press. Thales has successfully secured an order from prime contractor Australian Aerospace to upgrade the TopOwl Helmet-Mounted Sight Display (HMSD) Display Modules fitted to the Australian Army's fleet of Tiger Armed Reconnaissance Helicopters. A key component in the Army's ARH, the TopOwl HMSD links the pilot directly to the helicopter's armaments, night vision and navigation systems. The upgraded modules will significantly enhance the ARH's night vision capability. Chris Jenkins, Thales Australia's Managing Director, said: "Thales is proud to be contributing its leading TopOwl HMSD and avionics technology to the ARH program for Australian Army Aviation". "This contract continues Thales Australia's longstanding partnership and close working relationship with Australian Aerospace." Thales is one of the largest suppliers to the ARH and MRH-90 program. The company provides Australian Aerospace with technical, logistics and supply support services for a range of Thales equipment installed on the Tiger helicopters, specifically avionics, communications, electrical components and the rocket subsystem. Thales Australia acts as a local single point of contact for all global Thales OEMs, including the company's avionics, communications, electrical systems and military customer services businesses. Thales is a global technology leader for the Aerospace, Space, Defence, Security and Transportation markets. In 2008, the company generated revenues of 12.7 billion euros (equivalent of AUD22.1 billion) with 68,000 employees in 50 countries. Thales Australia is a trusted partner of the Australian Defence Force and is also present in commercial sectors ranging from air traffic management to security systems and services. Employing around 3,500 people in over 35 sites across the country, Thales Australia recorded revenues of more than AUD1 billion in 2008. 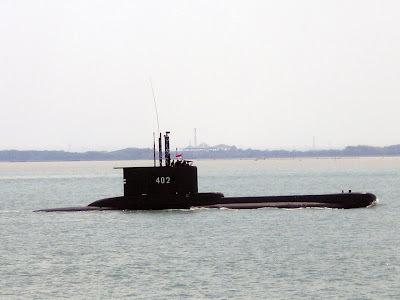 Brunei’s Ministry of Defence has zeroed in on two candidates – General Dynamics United Kingdom (GD) and Northrop Grumman Electronic Systems International Inc (NG) – after assessing their pilot systems, for setting up the Joint Operations Centre C41. 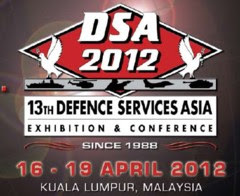 This was announced yesterday by the Permanent Secretary at the Ministry of Defence, Dato Paduka Haji Mustappa bin Haji Sirat, at the 2nd Brunei Darussalam International Defence Exhibition and Conference (Bridex) held at its centre in Jerudong. He said, in line with the Brunei Government’s Defence White Paper Update 2007 entitled “Shaping the Force Today” and its strategic objectives, the Ministry of Defence invited interested vendors to submit their proposals to design, develop, manufacture, procure, assemble, install, integrate, test, deliver, provide and successfully commission a Joint Operations Centre (JOC) based on the concept of a Command, Control, Communications, Computers and Intelligence (C41) system, collectively known as the JOC C4I, which is fit for purpose and meets the requirements of the Royal Brunei Armed Forces. With this, a total of 14 potential vendors from around the world participated in the tender. Three of the candidate vendors have just completed a demonstration of their pilot systems in Brunei. The defence permanent secretary added that the Ministry of Defence intends to enter into contract negotiations with GD and NG with a view to announcing a contract award in the third quarter of this year. According to General Dynamics UK Limited, the Joint Operations Centre (JOC) will provide the Royal Brunei Armed Forces (RBAF) and Ministry of Defence (MinDef) with a facility to deliver command and control capability for military commands and civil organisations at both a national and international level and be interoperable with its NATO and Asean allies and coalition partners. General Dynamics is committed to providing an enduring capability based on Brunei’ Vision 2035, said Andrew Browne Vice President C4I Systems of General Dynamics UK for C4I. General Dynamics UK is the Prime Contractor and Systems Integrator delivering the UK’s flagship C4I system across the British Army, Royal Navy and Royal Air Force; and the latest enhanced version was used successfully in a British exercise in Brunei recently. General Dynamics UK is also delivering similar systems to other customers worldwide. The core of the General Dynamics solution for the Brunei JOC is a low-risk Microsoft Windows based solution using best-of-breed products enabling ease of use and local sustainability. General Dynamics will provide both support and training packages tailored to meet the needs of the RBAF. General Dynamics UK is teamed with Systematic UK for the Brunei JOC. Systematic UK recently won the contract to provide its SitaWare product to be the core software around which the United Kingdom’s JOC will operate over the coming years, thus providing a single unified Common Operating Picture (COP). This same product is at the core of General Dynamics UK’s Brunei JOC proposal. 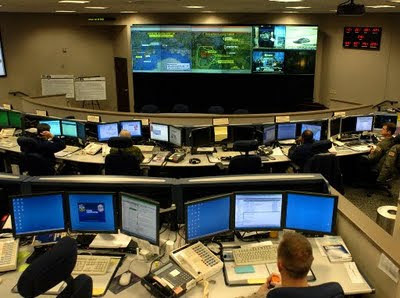 Northrop Grumman Information Systems Europe said it is proud to be selected as one of two companies to enter into negotiations for supply of Brunei’s JOC. A press release from Northrop Grumman Information Systems Europe stated that this is an important enhancement to Brunei’s defence capabilities, providing not only protection to its people and natural resources, but also allowing RBAF to become a lead nation in regional and coalition activities. “Our C4I system (I-JOCCS) is deployed and will support international operations. We are proud to work with local companies and emerging technologies and are fully committed to working with the RBAF for the full life cycle of this program,” it further stated. 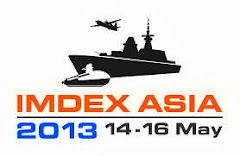 Their proven range of information system solutions across the company are well matched to meeting Brunei’s defence and national security requirements and Bridex provides an excellent platform fro building alliance, forging partnerships and capturing new business opportunities in this fast growing region, he added. 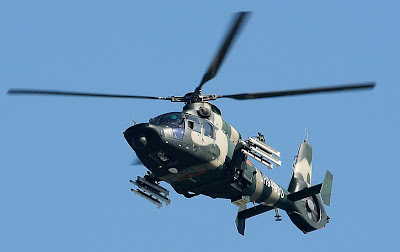 Chinese Z-9 helicopter gunships stationed near the coast opposite Taiwan, have been spotted carrying a full load (eight) of TY-90 air-to-air missiles. The TY-90 is a modified version of a shoulder fired anti-aircraft missile, designed specifically to be carried by helicopters, for use against enemy helicopters. The TY-90 weighs 44 pounds and has a range of 6,000 meters. It has a relatively large, 6.6 pound, warhead designed to bring down helicopter gunships. This would be done over the Taiwan Straits, during an invasion of Taiwan. China has also introduced a new air launched anti-ship missile, the TL-10, for the Z-9 helicopter gunship. The missile was apparently developed in cooperation with Iran (which calls it the Kosar). The TL-10 is a 240 pound missile, with a 65 pound warhead. It has a range of about 18 kilometers. The TL-10 has been in use for a few years, and the latest version, the TL-10C is believed to have a fire and forget guidance system (based on onboard radar). The TL-10 can be lethal for smaller (under 500 tons) ships, but can do a lot of damage to larger ships. The Z-9D, armed with four TL-10 missiles, could be used to attack the 60 patrol boats that Taiwan deploys along its coasts and in the Taiwan Straits. Z-9s armed with TY-90s can be used against Taiwanese helicopter gunships out hunting for small Chinese warships. Kepala LIPI Prof. Dr. Umar Anggara mengamati radar ISRA saat peluncuran di Balai Besar Pengembangan Teknologi Tepat Guna Subang, Kamis (20/8). 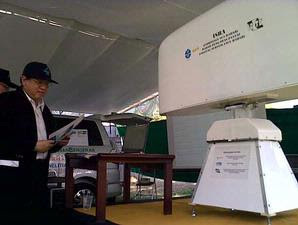 SUBANG (SI) – Lembaga Ilmu Pengetahuan Indonesia (LIPI) meluncurkan prototipe radar pengawas pantai (Indonesian sea radar) saat merayakan ulang tahunnya yang ke-42 di Balai Besar Pembangunan Teknologi Tepat Guna (B2PTTPG),Subang,kemarin. Radar yang diberi nama Indonesian Scientific Journal Database (ISRA) ini merupakan prototipe I dan satu-satunya radar pengintai kapal asing ilegal di perairan hasil karya anak bangsa. Selain untuk mengidentifikasi keberadaan kapal asing ilegal yang berlayar di perairan Indonesia, radar ini juga bisa mendeteksi aksi perompak dan kejahatan lainnya serta untuk mendeteksi terjadinya kecelakaan. “Teknologi ini bisa mendeteksi kapal-kapal yang berada di wilayah perairan kita, sehingga kalau ada kapal asing ilegal dan kecelakaan laut, kita bisa mendeteksi. Misalnya, ada kapal yang hilang,kita bisa pantau apakah tenggelam atau apakah karena sebab lainnya,” ungkap Kepala Bidang Telekomunikasi Pusat Penelitian Elektronika dan Telekomunikasi LIPI Mashury Wahab. Koordinator yang membidani pembuatan teknologi ini memaparkan, radar pengawas pantai itu mulai diteliti sekitar 20 ahli pertengahan 2006 dengan menghabiskan dana sekitar Rp4 miliar. Radar itu sudah diuji coba di laboratorium LIPI, Lapangan TNI Cimahi, dan pada Agustus-November 2009 akan diuji coba kembali di Cilegon,Banten. Mashury mengungkapkan, sistem kerja radar ini adalah dengan memanfaatkan sinyal yang ada di alat dengan dipancarkan ke objek (kapal). Kemudian, sinyal dipantulkan balik ke objek penerima (radar) dengan frekuensi diturunkan dari 9,4 GHz menjadi 2 MHz. Hasil pemantulan balik ini akan diubah menjadi data digital untuk diolah di komputer. Data inilah yang kemudian digunakan untuk mencari posisi kapal. 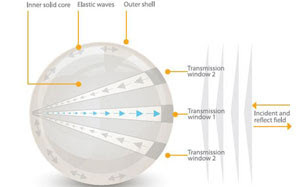 Kehebatan lain dari radar ini, ujar Mashury, adalah menggunakan teknologi Frequency Modulated Continuous Wave (FM-CW). Sehingga,konsumsi daya dan ukuran radar yang dipergunakan jauh lebih kecil dari radar biasa.Namun, jelas Mashury, jarak jangkauan kerja radar ini justru semakin luas, yakni dengan diameter cover area mencapai 64 km. Dengan kehadiran radar ini, kata Mashury, akan mampu meningkatkan pengawasan daerah perairan Indonesia. Apalagi, radar yang dimiliki Indonesia saat ini baru sekitar 30 unit yang dipasang di sepanjang perairan Indonesia. Padahal, untuk mengintensifkan pengawasan keamanan perairan, idealnya dibutuhkan sedikitnya 96 unit radar. Semua radar itu, ujar dia,merupakan buatan luar negeri. Meski demikian, Mashury mengaku, sampai tahun 2011 mendatang, LIPI hanya mampu memproduksi tiga unit radar jenis prototipe I ISRA tersebut.Hal itu disebabkan harga komponen penyusun radar cukup mahal serta waktu pembuatannya yang cukup lama. Tahun depan, ungkap dia,TNI AL juga meminta dibuatkan radar untuk perlengkapan operasional kapal dengan fasilitas perlengkapan lebih variatif. “Radar yang kita buat untuk TNI AL itu dengan versi lain, seperti radar untuk memantau di udara dan memandu penembakan,” jelasnya. SUBANG, KOMPAS.com - Indonesian Sea Radar (ISRA) radar pengawas pertama milik Indonesia hasil ciptaan para peneliti Lembaga Ilmu Pengetahuan Indonesia (LIPI) akhirnya diluncurkan. Ini merupakan radar yang dapat digunakan untuk membantu pengaturan transportasi laut dan udara, pengamatan cuaca, pemetaan wilayah, serta navigasi. "Selain itu dapat digunakan untuk aplikasi pertahanan keamanan (militer) seperti pemandu rudal dan pengunci sasaran," ucap Kepala LIPI Prof. dr. Umar Anggara Jenie saat peluncuran radar tersebut yang merupakan bagian dari peringatan hari ulang tahun LIPI ke-42 di Balai Besar Pengembangan Teknologi Tepat Guna (B2PTTG) LIPI Subang, Jawa Barat. Ikut hadir dalam acara para pejabat LIPI. Prof. Umar mengatakan, radar ISRA merupakan bukti bahwa tenaga ahli dalam negeri mampu membuat peralatan dengan teknologi tinggi. "Ini mendukung kemandirian membuat alat-alat strategis. Belum lagi prosedur pembelian radar luar negeri sulit dan harganya mahal," jelasnya. Kepala Bidang Elektronik dan Telekomunikasi LIPI dr. Mashury Wahab mengatakan, penelitian untuk membuat radar tersebut dilakukan selama 3 tahun oleh satu tim berjumlah 20 orang dengan memakan biaya sekitar Rp 3 milyar. Sebelumnya, para peneliti diberikan bantuan oleh pemerintah Belanda untuk pelatihan dasar di Delft University of Technologi the Netherlands yang kemudian diaplikasikan dan dikembangkan di Indonesia. Radar dengan panjang 2 meter dan lebar 1 meter, berat sekitar 200 kg, serta jangkauan deteksi hingga 64 km tersebut, paparnya, telah menggunakan teknologi Frequency-Modulated Continuous (FM-CW) yang konsumsi daya listrik lebih rendah dan ukuran radar lebih kecil dibanding radar yang digunakan di Indonesia. "Radar yang digunakan instansi-instansi pemerintah teknologinya ketinggalan, daya (listrik) dan ukurannya juga besar. Kalau radar ISRA biaya operasional dan perawatannya jauh lebih rendah," ujar dia. 60 persen komponen radar, ungkapnya, masih di impor sehingga menjadi hambatan dalam proses pembuatan karena harus menunggu masuknya komponen. Uji coba radar sudah dilakukan di Cilegon dengan mendeteksi kapal-kapal yang melintasi selat sunda. Menurutnya, produksi masal untuk radar tersebut diharapkan dapat dilakukan pada 2011 setelah melalui proses penyempurnaan. "Tahap selanjutnya pada akhir tahun ini, kita akan buat radar mobile yang bisa dibawa kemana-mana. Tahap terakhir tahun 2011 kita akan buat jaringan dengan beberapa radar yang terkoneksi dan bisa dipantau dari pusat tanpa harus ke lapangan," jelas dia. Untuk harga jual, lanjut dia, diperkirakan lebih murah 50 persen dibanding radar pesaing dari negara Polandia yang dibandrol Rp 9 milyar. Lebih lanjut Mashury menjelaskan, LIPI sudah ditugaskan oleh Kementrian Negara Riset dan Teknologi untuk membuat radar versi militer dengan teknologi yang sama untuk dipasang di kapal milik TNI AL pada tahun 2010. "Saat ini semua radar di kapal TNI AL masih impor. Hanya radar dan senjata saja memakan 55 persen dari total harga kapal," ucapnya. Selain TNI AL, katanya, berbagai pihak mulai tertarik menggunakan radar tersebut seperti Badan Koordinasi Keamanan Laut, Departemen Perhubungan, pihak swasta untuk pengawas pelabuhan, dan beberapa pihak asing. "Di Asia Tenggara cuma kita yang bisa buat (radar)," ujarnya. Russian government officials during the MAKS air show in Moscow signed a historic order for 64 Sukhoi fighters, raised the possibility of a $470 million cash injection for RSK MiG and sternly warned aerospace executives to not expect further financial bail-outs. The Russian air force will take delivery of 48 Su-35Ss, 12 Su-27SMs and four Su-30M2s by 2015 under the $2.5 billion order jointly announced on 18 August by Sukhoi and the defence ministry. The deal marks the most valuable contract ever signed by the air force. It also extends a major change in acquisition policy that started in 2008. Since the post-Cold War period, Russia had ordered no more than six fighters a year, but last year signed a multi-year $1.25 billion contract for 32 Su-34s. After Algeria last year rejected deliveries of 34 RSK MiG-29SMTs, the Russian air force also agreed to acquire the sum of the lost order for $533 million. That was the first of two bailouts Russia provided for struggling RSK MiG. The company has since been merged with Sukhoi under the United Aircraft umbrella. Russia also supplied $470 million in cash to RSK MiG last year to keep it solvent. An equivalent sum may be required again this year. "We will also discuss the possibility - and I want to emphasise this - we will discuss the possibility of adding another Rb15 billion [$470 million] to the capital of RSK MiG," Prime Minister Vladimir Putin said on 18 August. Moscow will also provide $100 million in cash to Sukhoi for "additional capitalisation," Putin says. In the long term, Sukhoi and RSK MiG also hope to receive order extensions for the Su-35 and MiG-35 beyond 2015 until the fifth-generation PAK-FA fighter is available after 2020. The PAK-FA "is one of our priorities, work on which must certainly be provided with the necessary priorities", Putin says. But Putin also delivered a harsh rebuke to Russia's aerospace industry for failing to remain competitive in the international market. United Aircraft is now $3.76 billion in debt, and industry's promises to raise cash by selling non-core assets "have been lost", Putin says. "I would like to warn you against the illusion that the state will endlessly cover losses, bail out companies or correct mistakes by management," Putin says. NEW DELHI: It's an old warhorse, 50 years old to be exact. But after a life-extending refit, India's lone aircraft carrier INS Viraat is back to show it still has enough steam to give the jitters to the enemy. INS Viraat, meaning giant in Sanskrit and which has a crew of 1,500 personnel, has been docked at Cochin Shipyard Ltd for the past year for repair and maintenance. The refit will increase the aircraft carrier's sea life with the Indian Navy till 2015. "The refit of the aircraft carrier has been completed. Currently it is floating (in the docks)," a senior official at the shipyard told IANS requesting anonymity. "By the beginning of next month, it is expected to go to its parent base at Mumbai in the Western Naval Command." And it will be received with a great bang. A golden jubilee celebration for completing 50 years of service. The 28,000-tonne INS Viraat, the Centaur class aircraft carrier, was originally commissioned in the British Royal Navy as HMS Hermes Nov 18, 1959. The Indian Navy acquired the platform in 1987 after it had served the Royal Navy for nearly 28 years. An extensive refit - with brand new fire control equipment, navigation radars, improved nuclear, biological and chemical protection and deck landing aids - increased the life of the vessel into the next decade. In September 1993, the engine room of Viraat was flooded, temporarily putting the vessel out of service. By 1995, the vessel was back with a new search radar. Apart from some major and minor refits at different times, including one in 2006, INS Viraat underwent an extensive life-extension refit in 1999-2000, with new and upgraded propulsion, sensors, sonar, radars, weapons, communication and flood-control systems. A Royal Navy team will also attend the golden jubilee celebrations of Viraat. The aircraft carrier gives the Indian Navy an edge over the Chinese navy, which does not have one. The Indian Navy will get its second aircraft carrier - the Russian-built Admiral Gorshkov - which is expected to be inducted by 2012. INS Viraat is pivotal to the navy's aim to project its naval and air power beyond its borders. It provides operation ground for Sea Harrier combat jets. It can embark up to 18 combat aircraft and is suited for supporting amphibious operations and conducting anti-submarine warfare. Gorshkov, on the other hand, will operate 16 MiG-29 K fighter jets. The two aircraft carriers will increase the reach of the India's blue water navy. India earlier this year laid the keel for its indigenous 37,500-tonne aircraft carrier at the Cochin Shipyard. The carrier would be inducted by 2015. On July 26, India launched into the waters its first indigenous nuclear-powered attack submarine, built under the Advanced Technology Vessel project with Russian help. Once this vessel, INS Arihant, is commissioned around 2012, India will become only the sixth country after the US, Russia, China, France and Britain to possess a nuclear-powered submarine. ZHUKOVSKY (Moscow Region), August 19 (RIA Novosti) - Russia will fulfill a contract on the delivery of eight Su-30MK2 fighters to Vietnam in 2010, state arms exporter Rosoboronexport said on Wednesday. 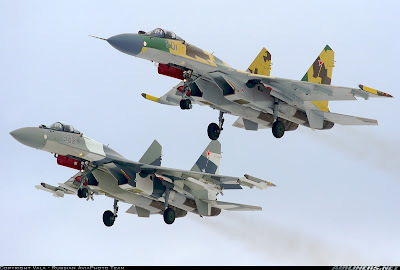 Russia and Vietnam signed a of $500 million agreement on the sale of eight Su-30MK2 fighters in January 2009. "The contract was signed in January, and we will fulfill it in 2009-2010," Alexander Mikheyev, deputy general director of Rosoboronexport said at the MAKS-2009 air show near Moscow. Mikheyev said Vietnam had already made several advanced payments under the contract and the deliveries would be made in two batches of four aircraft each. Russia's Federal Service for Military Cooperation said in June that Vietnam had expressed interest in buying additional Su-30MK2 fighters and talks on a new contract could start in the near future. Military aircraft continue to dominate Russia's arms exports, and are expected to total about $2.6 billion in 2009 sales. Brunei KLS reports: France Renault (Renault) to Brunei to promote war with SHERPA 3 special vehicles, and with Turkey as FNSS arrange a SHERPA 3, a day with the ACV-300 is to display motor vehicles. KLS Renault personnel that countries in Southeast Asia, Indonesia, Malaysia and Brunei are the potential market for Renault, which is why Renault so positive. INDODEFENCE during 2008, France is the same Indonesia SHERPA 3A show the real vehicle, Renault can be seen in Southeast Asian countries attach great importance to the market. It is understood that Brunei SHERPA 3 Army will be evaluated. Brunei is the Renault customers, the army units equipped with 50. Sonar Locator System for Defence ? SALT, with help from Avon Rubber and ARTIS, has launched a revolutionary sonar locator system, the SonarBell. The SonarBell is a maintenance-free, passive sonar locator system, that operates by focusing energy like a lens to amplify sound levels and reflect them to the sender. Looking like a bowling ball, it utilises the two materials of its shell and core to create a constructive interference that delivers a higher return signal to the end user. The device is ‘solid state' with no moving parts or power requirements, and is compatible with existing commercial sonar sets. The SonarBell has been designed for applications such as installing and locating deepwater pipelines, undersea telephone and internet cables and marking international boundaries quicker and more efficiently - functions that have previously been difficult and costly. The target market therefore includes industries like oil and gas, telecommunications, defence and environmental organisations. The system will be pitched to Australian agencies including Defence and there has been interest from both the UK and US in the product so far. Brunei KLS Report: Turkish army FNSS Brunei marketing to ACV-300 infantry fighting vehicles, and arranged for a ACV-300 infantry fighting vehicles, dynamic cross-country demonstration. FNSS to KLS confirmed, FNSS positive orders for the Army in Brunei. 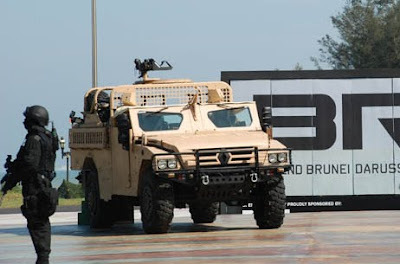 Brunei plans to form a mechanical armored battalion, and military affairs in accordance with Brunei's local press revealed that Brunei planning to form an armored machinery business, mainly in order to meet the needs of the United Nations peacekeeping missions. 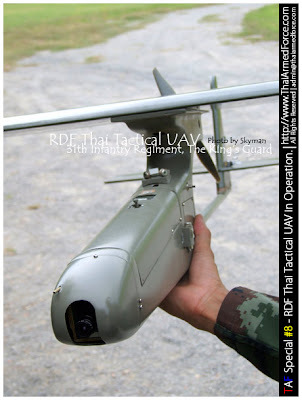 FNSS that once it has obtained orders Brunei, FNSS will DEFTECH cooperation with Malaysia, assembled in Malaysia ACV-300, but ultimately must be, as the Brunei Government whether they agree with the program, completed a number of countries throughout will not agree with them equipment, the national assembly in section 3. The spokesman said FNSS, especially exhibitors from Turkey to the ACV-300 infantry fighting vehicles, it will stay in Brunei for about about two months, and set at the end of Eid al-Fitr, the Army and Brunei with a series of tests. Malaysia is currently FNSS made 211 orders for the army, while the Malaysian side again in 2008 an additional 48 orders. Turkey and Malaysia are Muslim countries, and Brunei is also one of Islam, the Brunei Government therefore would not be the final order by Turkey, is worthy of attention. If the Brunei Government to order the Turkey really, it means that Muslim countries in Southeast Asia, and gradually with the Muslim world of arms-exporting countries to form a close cooperation. TAMWORTH, Australia – BAE Systems has expanded its unique military flight instruction program at the company’s Tamworth Flight Training Centre with the announcement that the Royal Brunei Air Force (RBAF) has become its first customer for flying instructor training. Two pilots from No 3 and No 5 Squadrons of the RBAF graduated at Tamworth on 7 August as Qualified Flying Instructors after attending an intensive, specially designed six-month course. The RBAF has engaged BAE Systems to train its flying instructors, a move welcomed by John Quaife, General Manager of Aviation Solutions. Mr Quaife said today that BAE Systems was the only private company capable of delivering this military instructor qualification course. 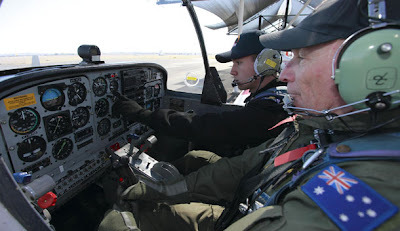 “Most air forces, including Australia’s, train their own flying instructors from within their own resources. “For smaller air forces that require limited numbers of Flying Instructors, maintaining the overhead of a Central Flying School can be difficult, hence they often look to their allies and partners for help. The more usual solution is for military to military arrangements to be employed using the Central Flying School of the larger air force. “However, at Tamworth, BAE Systems has been able to develop a capability to deliver a complete Qualified Flying Instructor training program for the RBAF. “We are able to offer a turn-key solution – delivering all ground training, flying training, accommodation and messing arrangements, backed up by our experience as a military flight training provider to the Australian Defence Force since 1994. “This unique training package is another good example of the depth of capability offered by BAE Systems at our Tamworth facility and also reflects well on the abilities of our instructional staff,” Mr Quaife concluded. Timika - Guna memperkuat pertahanan negara dalam mengantisipasi adanya gangguan pihak asing, TNI Angkatan Udara akan membangun sebuah radar pertahanan udara di wilayah Timika, Papua. Komandan Pangkalan Udara (Danlanud) Timika, Letkol (P) Easter Haryanto di Timika, Senin, mengatakan pembangunan radar pertahanan udara tersebut akan direalisasikan mulai 2011. "Tahun ini akan dibangun ruas jalan dan jembatan. Selanjutnya tahun depan pembangunan perumahan dan kompleks perkantoran dan tahun berikutnya mulai pembangunan radar," kata Easter. Sehubungan dengan rencana dimaksud, pada 25 Agustus nanti tim dari Mabes TNI AU akan melakukan survei ke lokasi pembangunan radar pertahanan udara di Timika. Radar pertahanan udara Timika dibangun di atas lahan seluas 30 hektare di lokasi SP 1, Kampung Kamoro Jaya, sekitar belasan kilometer dari Kota Timika, ibukota Kabupaten Mimika. Biaya pembebasan lahan sebagian ditanggung pihak Mabes TNI AU dan sebagian ditanggung Pemda Mimika. Easter menjelaskan, keberadaan radar pertahanan udara Timika nantinya sangat penting untuk meng-`cover` pengamanan di wilayah pantai selatan Papua. Pengamanan di wilayah pantai selatan Papua selama ini dinilai masih kurang maksimal sehingga rentan terjadi aksi pencurian hasil laut (ilegal fishing) dan berbagai kejahatan lainnya baik yang bersifat nasional maupun transnasional. Guna meminimalisasi berbagai potensi gangguan dan aksi kejahatan tersebut, saat ini TNI AU sedang membangun radar pertahanan udara di wilayah Merauke. Radar serupa akan dibangun di wilayah Saumlaki, Tanimbar, Kepulauan Maluku Tenggara Barat yang berhadapan langsung dengan perairan Samudra Hindia dan Australia. Saat ini jajaran TNI baru memiliki sebuah radar pertahanan udara untuk mengamankan wilayah Papua yaitu di Biak. Menurut State Department, program ESF menyediakan dana bagi negara-negara asing dengan tujuan mewujudkan stabilitas, pembangunan, dan keamanan. Dana melalui ESF disediakan dalam konteks pencapaian tujuan kebijakan luar negeri Amerika Serikat yang lebih luas, dan karenanya hanya sebagian kecil yang dialokasikan bagi angkatan bersenjata, itu pun biasanya angkatan kepolisian. Anggaran NADR dikelola oleh Department of State. NADR terdiri dari sejumlah program yang meliputi 3 kategori utama: Non-Proliferasi, Anti-Terorisme, serta Stabilitas Regional dan Bantuan Kemanusiaan. Hampir semua dana NADR bagi Indonesia adalah untuk Anti-Terrorism Assistance (ATA)(Bantuan Kontra-Terorisme). Sejumlah kecil dana NADR diperuntukkan bagi Export Control and Border Security Assistance (EXBS)(Bantuan Pengamanan Lintas Batas Negara dan Pengawasan Ekspor). Dalam beberapa tahun terakhir anggaran Counterterrorism Financing (CTF)(Pendanaan Kontra-Terorisme) melalui NADR menjadi semakin besar jumlahnya, hal mana ditujukan untuk mematikan pendanaan terorisme. 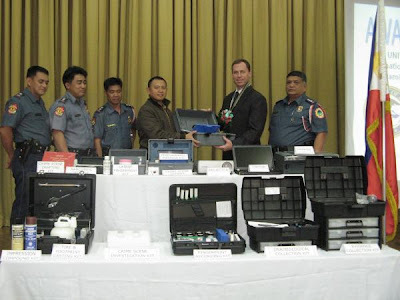 INCLE diselenggarakan melalui Bureau for International Narcotics and Law Enforcement Affairs (INL)(Biro Urusan Narkotika Internasional dan Penegakan Hukum), agensi tertinggi dalam jajaran State Department yang berurusan dengan kebijakan obat-obat terlarang. Disebutkan bahwa tujuan dari program ini adalah untuk melakukan kontrol atas narkotika, sekalipun akhir-akhir ini menurut penjelasan anggaran belanja tahun 2006 INCLE juga meliputi “upaya penegakan hukum yang lebih luas dan terpadu untuk memerangi semua bentuk ancaman kriminal, obat terlarang, dan terorisme”. 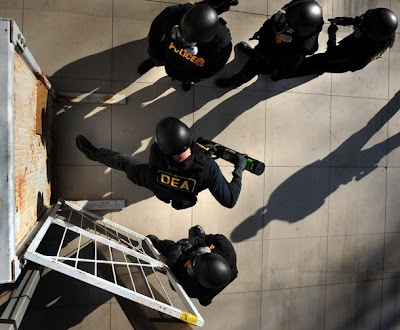 Pelatihan-pelatihan yang dilakukan oleh Drug Enforcement Administration (DEA)(Administrasi Penegakan Hukum mengenai Obat-Obatan Terlarang), terdiri dari seminar-seminar penegakan hukum tingkat dasar dan mahir, yang ditujukan untuk meningkatkan kemampuan badan penegakan hukum luar negeri untuk mengimplementasikan program-program kontra narkotika secara mandiri.